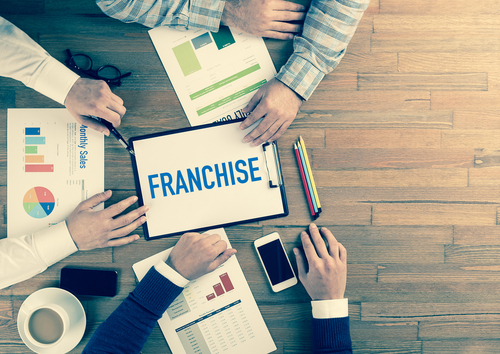 Franchising can be a great way to start a business from scratch and run it on your own. It’s a method of distributing goods and services from a company that sells a franchise license to you. When you sell products coming from an established and favorite brand, your chances of succeeding is high. People love to eat at food kiosks as they’re quick and cheap, plus the food tastes delicious. Operating a food kiosk can be an ideal business for people with limited financial resources. It’s an affordable franchise opportunity that may only cost you a minimum amount of money. To get the most out of your food kiosk business, look for a strategic location such as malls or train stations where there are a lot of people coming around. If you want to have an in-depth understanding of how franchising works, you can click here now to get more information. With people who are busy at work or have to keep multiple jobs, eating in a fast food restaurant proves to be beneficial for its fast serving time. If you have a substantial amount of money, you can invest in a fast-food restaurant franchise. As mentioned, people love to eat, which is why fast-food franchises can be a perfect opportunity to own a business. If you own a restaurant franchise, it may give you some benefits such as instant brand recognition, in-depth training process, and ready-to-go business processes. As these franchises may require more capital than a food kiosk, set your budget beforehand. To build your budget, you should have a calculation of the revenue, costs, and fees. Speak with other franchisees to get the details on estimated profit margins and revenues, fixed costs, and other related expenses. These days, technological advancements such as vending and service machines have made things a lot easier and convenient for many people. The franchising industry has also taken advantage of technology by creating service and vending machine franchises where you don’t have to rely on human resources to operate the business. However, if you want to streamline your business, you may need to outsource some business processes such as accounting, advertising, and marketing of your franchise. Also, this franchise opportunity is affordable and easy to manage. Just find the right locations and keep your machines stocked and clean. If you manage a vending and service machine franchise, you can expect to gain a considerable amount of profit every month per machine. The world is a busy place, and almost everybody needs a cup of coffee to stay awake, or a cold drink to refresh them on the go. That said, a coffee or cold beverage stand can be a great franchise opportunity to start an affordable business on your own. The customer base for this is virtually inexhaustible as almost everybody, from yuppies to businessmen, students to professionals, all need coffee or cold drinks at least once over the course of their long day. It’s easy to open more branches in a short distance and you can easily assign managerial staff to operate them. By this, people can get frappes and lattes at a low price while you make a good profit. Everybody needs a new hairdo or a good haircut every now and then, and people will always need a place to relax and relieve their stress. Franchising a spa and salon business is thus another great idea. Managing a spa can be a cheaper and more convenient franchise opportunity to try. It has low operating costs as you don’t need to start from scratch. The operating costs are already determined, making it easier for you to build your budget. Moreover. Franchising a spa and salon can be more convenient in the sense that professional training for your beauticians or stylists are provided. The franchisor, for instance, offers guidance and support in the selection of the interiors, marketing, project management, and the site. Like any valuable possessions, cars also need to be taken care of to preserve their shell life. Having them car washed can be a good maintenance tip for all car owners. With a variety of easy installment options nowadays, more people get a new car for personal purposes. Add this to the fact that automobiles can be used as an income-generating vehicle today. If there’s a high volume of cars in your area, franchising a car wash business can be a practical option. It comes with great benefits such as low franchise costs and less financial risk, less time required to start the operation, and the opportunity to learn about the car wash trade from the experts. Not only that, but buying a car wash franchise allows you to enjoy the loyalty and support of an established customer base and to get up closer with prestigious car brands. With a lot of people getting busier with work and other activities, having a business that offers personal services can help them get things done quickly and conveniently. Franchising personal services such as a laundromat, payment centers, or shoe repair can be a practical business option. These services are a significant part of many people’s monthly, quarterly, or annual routines. Hence, if you provide excellent service, your business will always be in demand and you’ll even gain patrons. With the variety of options you have, it’s important that you find and choose the right franchise that suits your budget and skill set, provides adequate support to you as a franchisee, and offers high returns on investment.